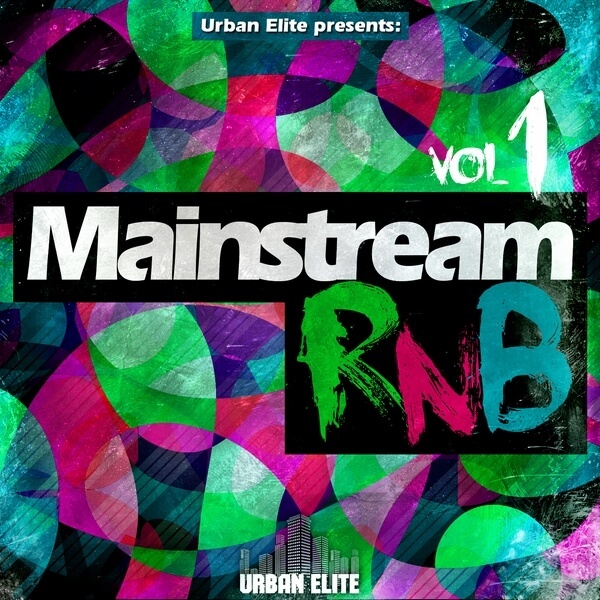 ‘Mainstream RnB Vol 1’ kicks off this brand new series of slick and smooth Construction Kits from Urban Elite, packed full of inspiring chord progressions, infectious beats and a hot mainstream vibe, designed to power your Urban productions. Each of the five Construction Kits has a unique and distinctive feel, featuring elements of Urban and Electro production to create an accessible and radio-ready hybrid style..
Urban Elite returns with a brand new product, ‘Mainstream RnB Vol 1’. Each of the five Construction Kits has a unique and distinctive feel, featuring elements of Urban and Electro production to create an accessible and radio-ready hybrid style. This pack includes retro buzzing synths, deep bass lines, whines, plucks and arpeggios and string/pad loops, all underpinned by solid contemporary beats deep, and inspiring chord progressions. Featuring over 170 ACID WAV files, this product includes all of the elements necessary to build up your own tracks. In addition, you also get access to a number of percussive One-Shot samples ready for you to drop into your favourite sampler and create new complimentary beats. Urban Elite is an exciting new label focused on producing high quality Urban products with crossover potential, while staying faithful to the essence and energy of the streets from which urban music originates. Read on to find out more about the professional feature set including tail/release loops and MIDI files. ‘Mainstream RnB Vol 1’ includes MIDI files for the majority of musical phrases heard in each Kit, allowing you to seamlessly mix your favourite synths and samplers with the sounds contained in the pack. This sample library also comes with unlooped/tail versions allowing you to end a phrase with the decay of the reverb/delay applied to the loop.